Please note that this calendar is designed to be flexible: we may make changes along the way, depending on your interests and the needs of the class. Should you miss a class, you are responsible for knowing about—and adjusting for—any changes by getting notes and other materials from a classmate. Professional protocols and collegiality call for you to alert us if you’ll be missing on a day when we’re having a workshop or when you are scheduled to present materials. Due #1: post your revised initial, first summary in précis form, and keep both versions; we want to be able to see your original summary and the revised version, in précis form. Here’s one possible organizing principle for that. Due #2: Due: Rhetorical précisSt. 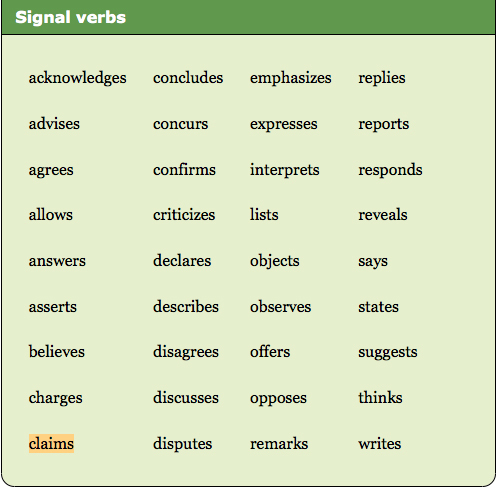 Martin’s 13b: ”Working with quotations”; note how some of the signal verbs are rhetorically active verbs (“claims”) and some are not (“says”). Can you tell the difference? Samples. Everyone should read the front section and the Sunday Review section; you should also be seeking out sections that tend to interest you more than others — Sports, Business, Arts, Style & Fashion — try to note stories, trends, and writers that interest you. 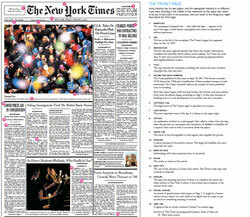 In class: We will begin class by going around the room and hearing an informal 60-90 second overview of an interesting article that you read in the Sunday NYT — any section, any topic — why it was important and relevant to you, and why it should be important and relevant to us. It’s a great way to get a tour of the Sunday paper, and to find out what people are interested in. Tuesday 11/19 Portfolio workshop and editorial feedback You can work on your portfolios during this time; we will problem-solve any technical or organizational issues; and we will discuss editing and visual, logistical coherence It’s a good opportunity to reflect on the conventions of academic and professional discourse and how you can use them to establish credibility for yourself and for the work you present in your portfolio. Section #129: TTh 1:00-2:30 p.m. Section #130: TTh 2:40-4:10 p.m.